American composer/lyricist Jason Robert Brown's THE LAST FIVE YEARS is a cult fave among musical theater nerds. Several of TCTB's theater nerds saw Artistry MN's new production, and you can read their differing opinions below. The show runs through February 11 but has been virtually sold out since before it opened, so call the box office soon to see what's left for tickets. 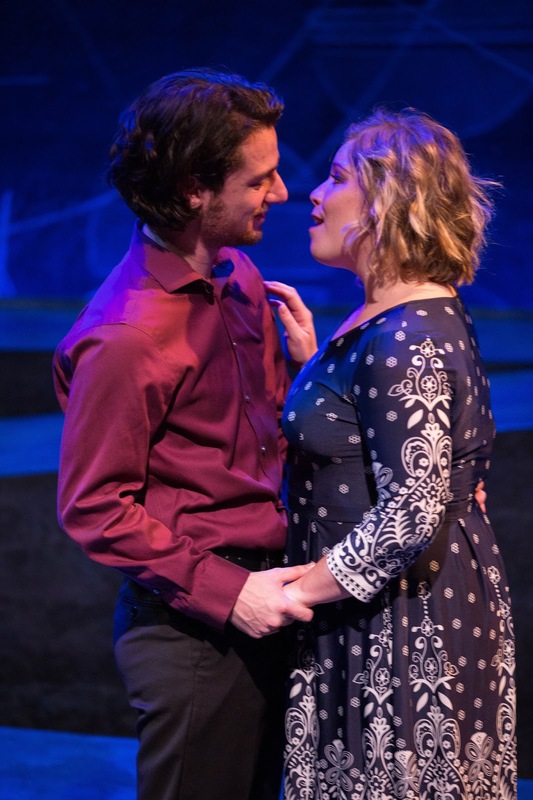 "The Black Box space is small enough to provide the intimacy the piece needs, with just a sparse two-person band, and a truly fantastic young cast in Aly Westberg O'Keeffe and Ryan London Levin." "Though Ryan London Levin and Aly Westberg O'Keeffe have talent and charm as Jamie and Cathy, director Elena Giannetti doesn't trust the material to tell the story. The simplicity of the show is overshadowed by too much stage business, and the singing is overwrought, losing sight of the storytelling."